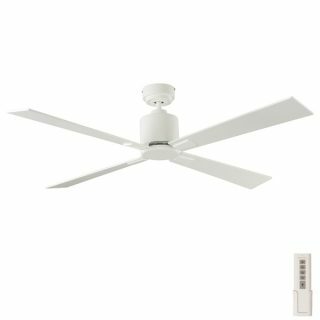 Quantum DC Ceiling Fan in White 52"
The Quantum ceiling fan brings to the market a slimline design with excellent energy efficiency. Offering a 30w DC motor and timber blades, the Quantum DC ceiling fan is sure to impress. You have the choice of installing this ceiling fan with 2, 3 or 4 blades depending on what would suit in your room (4 blades are included in the box). The Quantum comes complete with a 6 speed remote control for operation and there are light options that add to the functionality (can be purchased as an accessory – see below). This LED light kit is suitable for the Aeroblade Quantum ceiling fan. 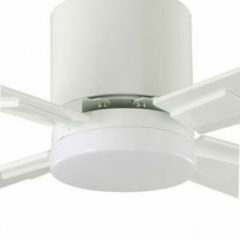 It offers a 3000k warm white light and is available in the same colours as the fan. For a cool white light, see alternative listing. 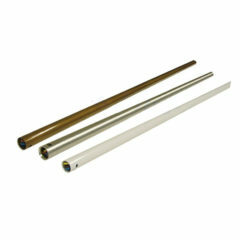 This LED light kit is suitable for the Aeroblade Quantum ceiling fan. It offers a 5000k cool white light and is available in the same colours as the fan. For a warm white light, see alternative listing.